Construction Information Modeling Service - The Drone Co.
With The Drone Co TrueView Services, drones can now be used as a Construction Information Modeling (CIM) tool to “digitize the construction site” for remote or local management with detailed hi-resolution aerial imaging. This allows construction crews to catch mistakes early and by integrating into the Autodesk CAD model to make changes before they cause devastating cost overruns. The CIM capabilities by The Drone CO also allow construction teams to measure the amount of raw material, such as gravel, left at a project site or what is left available for a job at the plant. Simply CIM Services by The Drone Co integrates brings real world aerial imaging of to the desktop. By overlaying imagery collected from the drone co with the original building design, all construction mistakes can be identified well before they become costly to fix. The Drone Co. TrueView™ Construction Building Information Services integrates easily with most versions of Autodesk so you don’t have a huge learning curve in integrating our services with your existing workflow. Construction subcontractor progress is generally verified with an on sight visual review, walk-through, and sign-off. 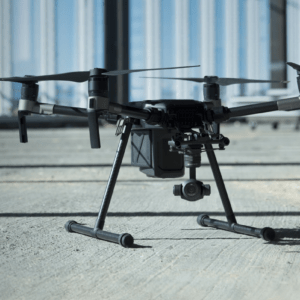 Superintendents love The Drone Co Construction Building Management Service TrueView™ because it allows them to work from anywhere in the world remotely managing the building projects and it works within their existing daily process. Using The Drone Co Construction Building Management Service TrueView™ Superintendents can have remote live oversight that is so detailed that nothing is missed. Call The Drone Co today to get more information about our nationwide Construction Information Modeling Service.